A Rose By Any Other Name. Would be our GFR4 - 14/20 Rose Gold-Filled 4mm Seamless Round Beads. Just that perfect little touch of Pretty Rose – to add to any Earring or Necklace or Bracelet Design! A Natural Day and Jewelry Design Brightener! 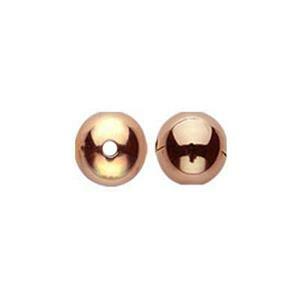 Use them to set off any of our Rose Gold-Filled Charms.